Erica Echols is an Evaluation Specialist for the National Institute for STEM Evaluation and Research (NISER). 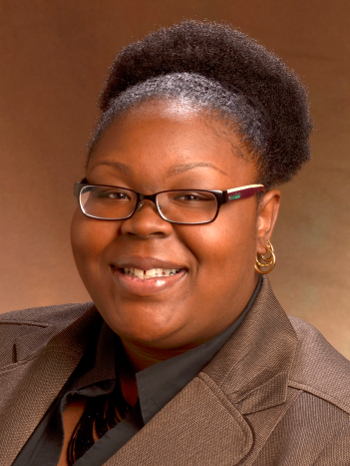 She has been an employee of the University of Tennessee, Knoxville since 2013 where she has worked in the Tickle College of Engineering Office of Diversity and for the NIH funded graduate and training fellowship program, Program for Excellence and Equity in Research (PEER). Her research interests include evaluation and assessment in higher education, with special interest in evaluating and understanding workforces that lead to student success in STEM. Echols graduated with her B.S. in Chemistry from North Carolina A&T State University in 2005 and an M.S. in Environmental Science and Policy from the University of South Florida St. Petersburg in 2009. She is currently a doctoral student in the Evaluation, Statistics, and Measurement program in UT’s Department of Educational Psychology and Counseling. Originally from Blairs, VA, Erica enjoys playing piano, Hammond Organ, and drums.